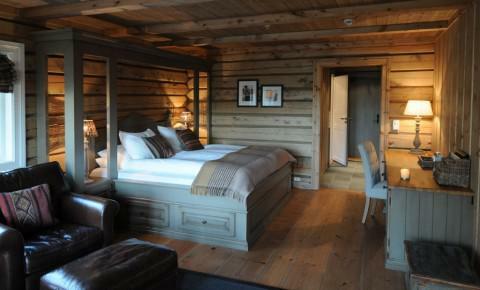 Cot: One child equal or under 2 years is charged € 15.65 per person per night in a child's cot/crib. 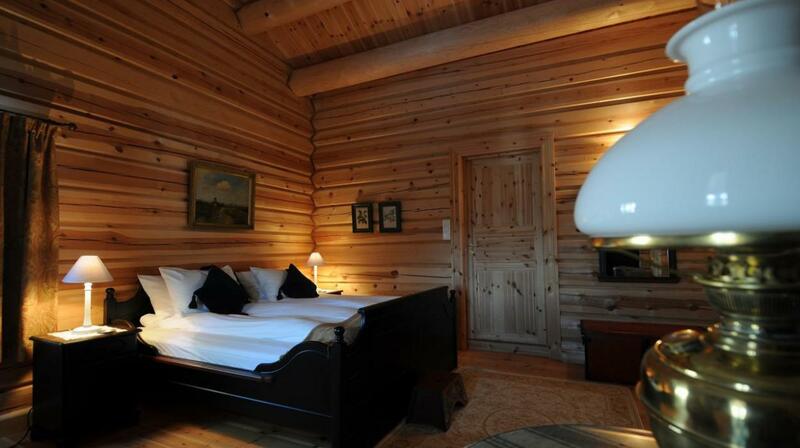 Extra beds Children: All children equal or under 10 years is charged € 52.17 per person per night when using extra beds. 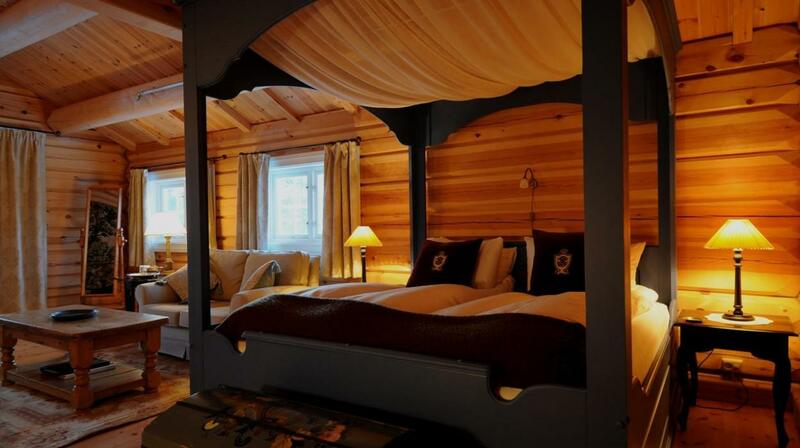 Just 4 individually designed rooms all with en-suite bath or shower with heated floors and views over the forest or the hotel "tun". 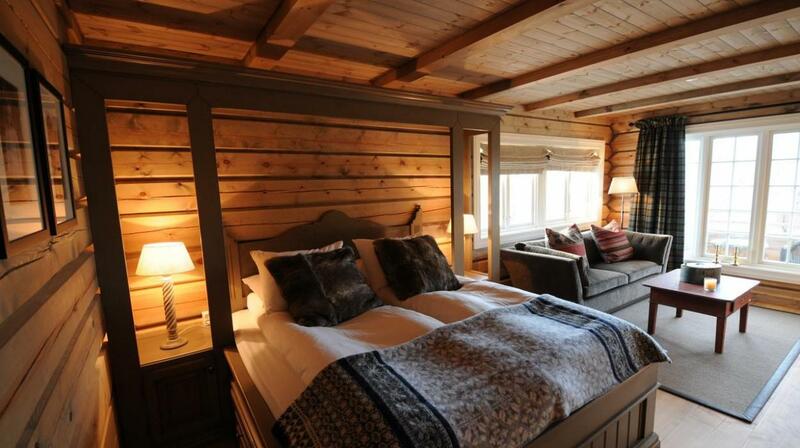 All individual designs with luxury en-suite bathrooms and heated floors. 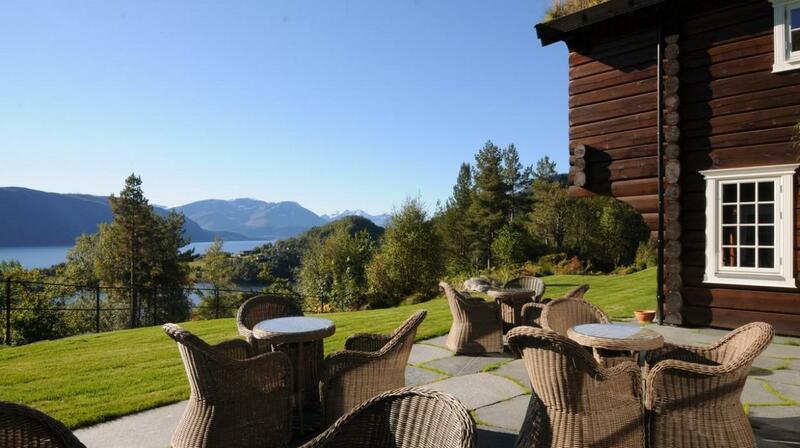 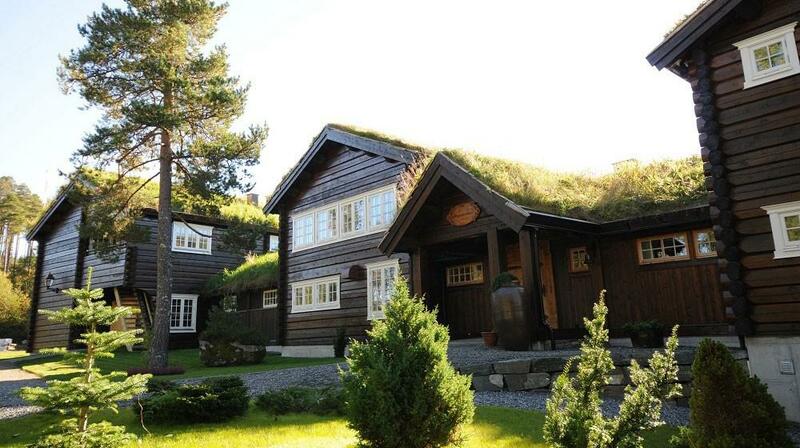 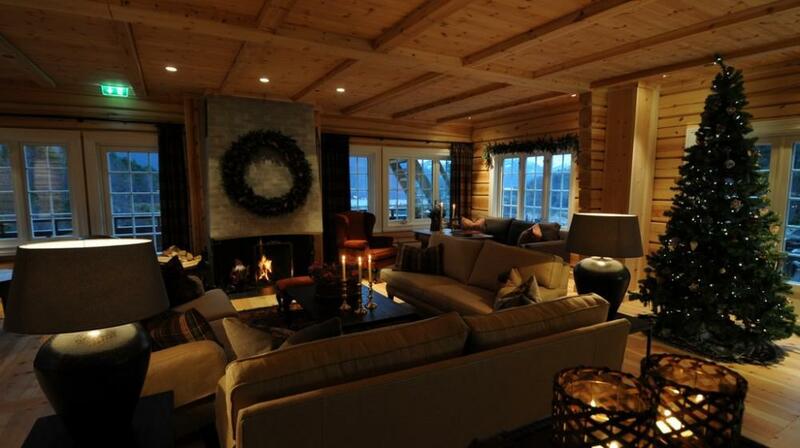 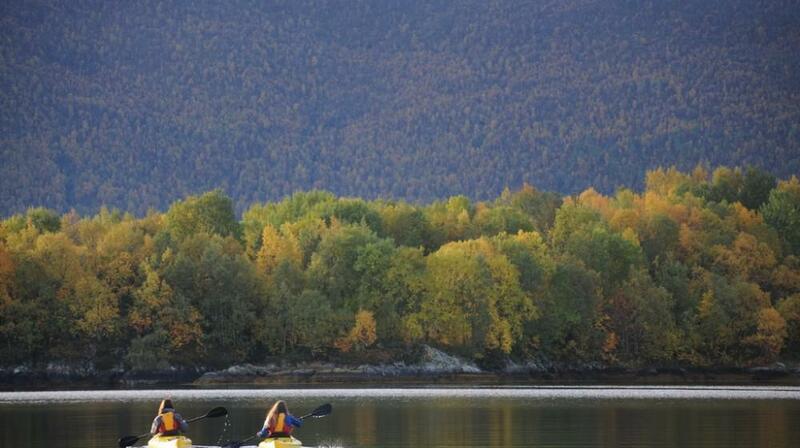 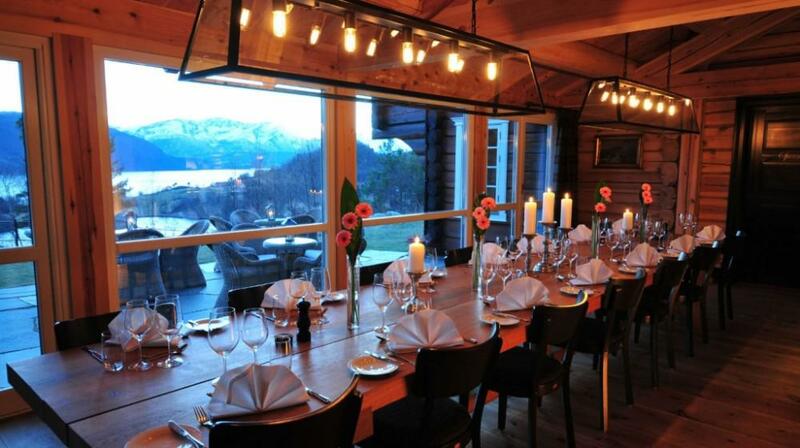 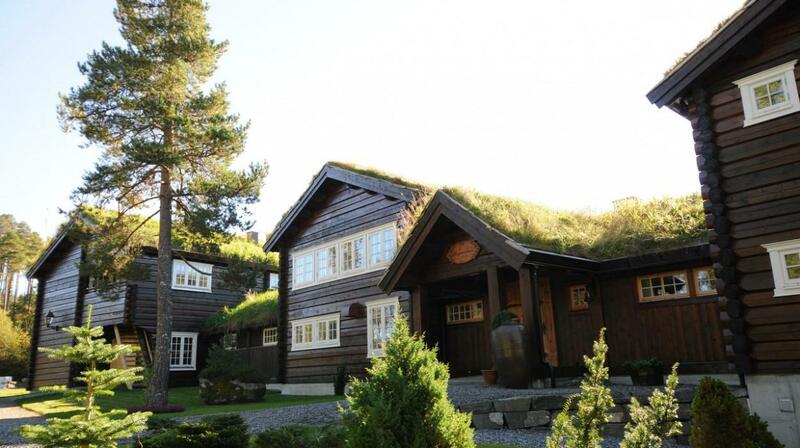 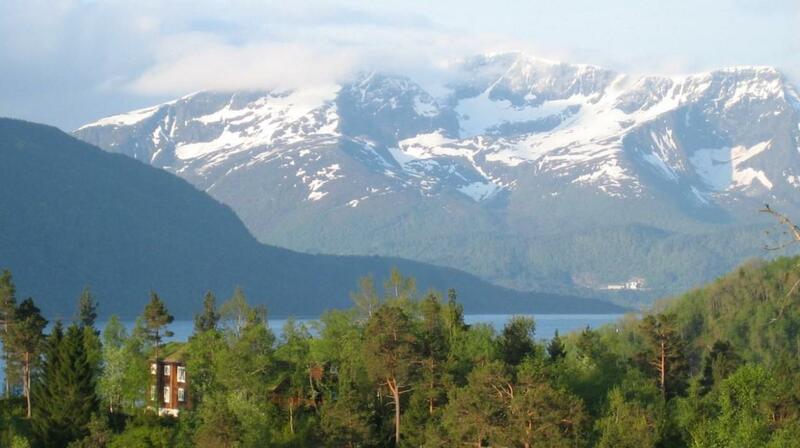 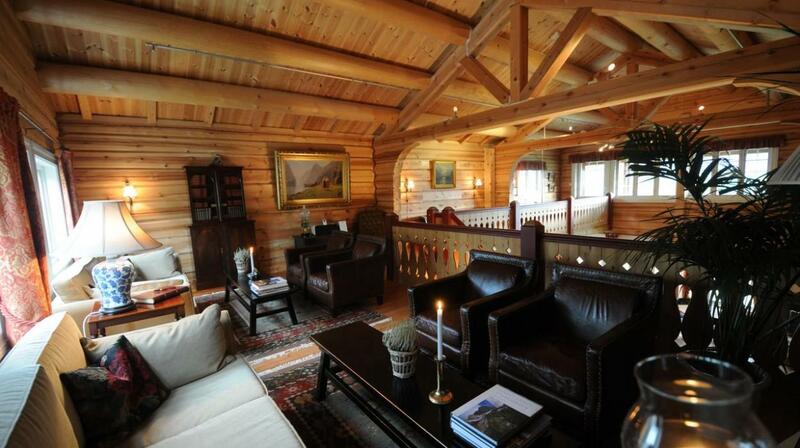 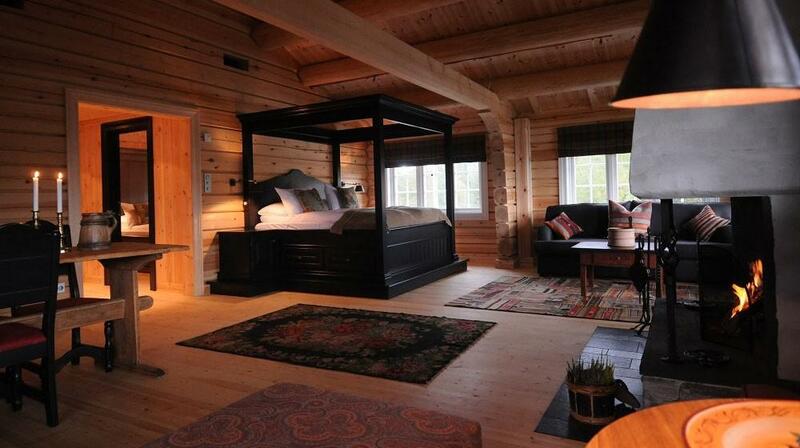 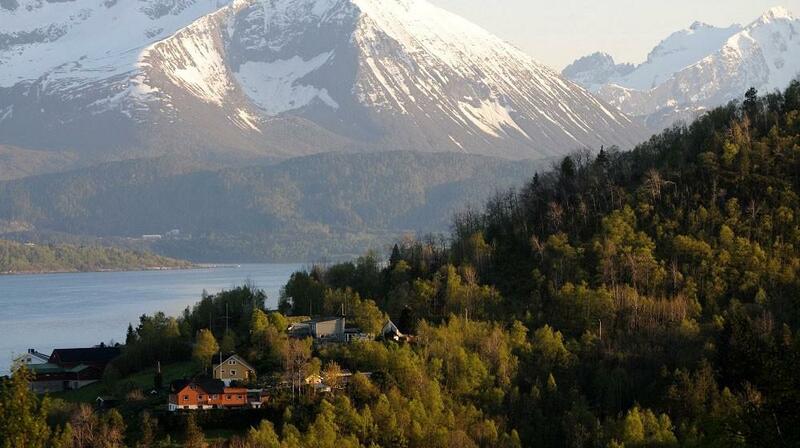 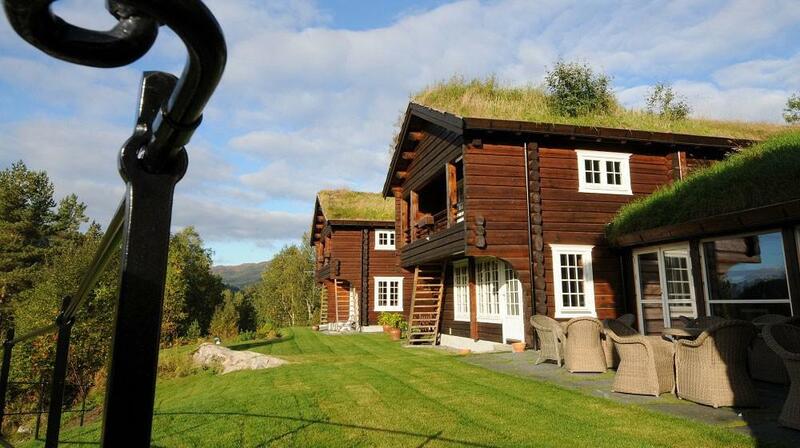 8 rooms in total, with either fjord or forest views. 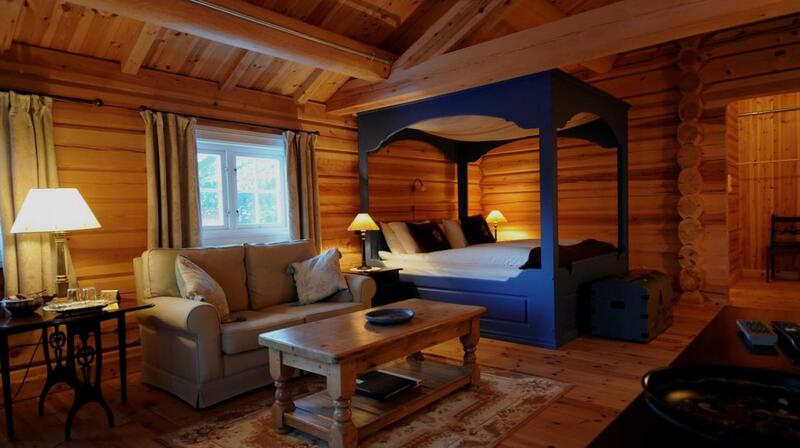 We have 10 Junior Suites all different in design, some with four poster beds. 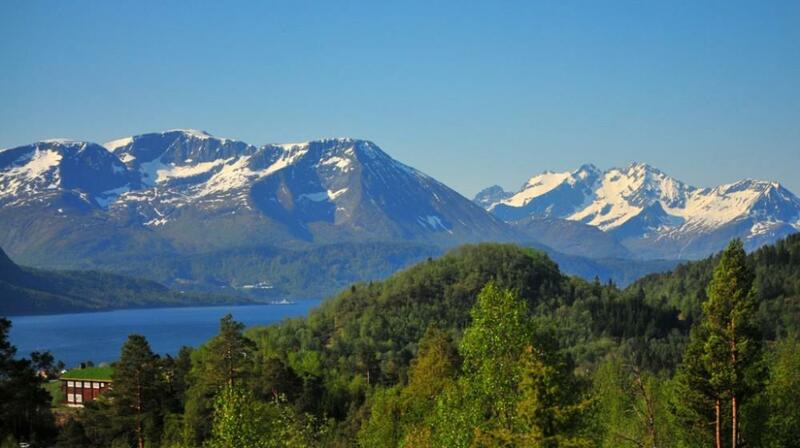 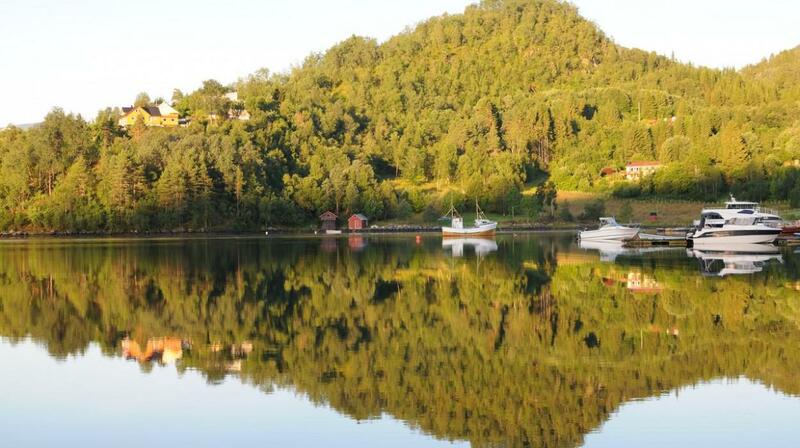 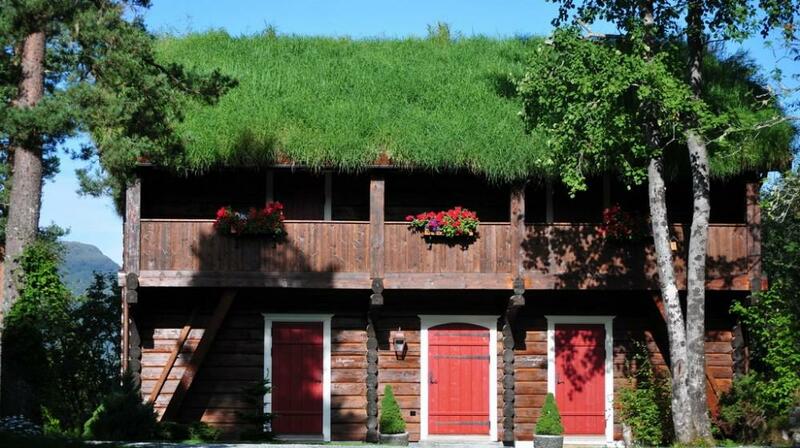 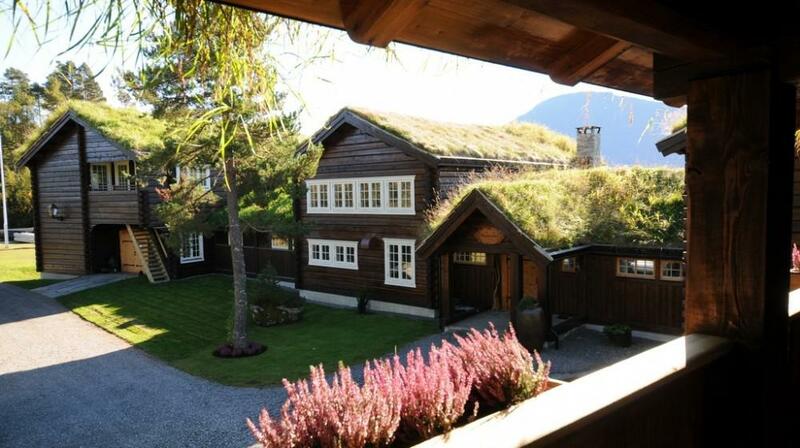 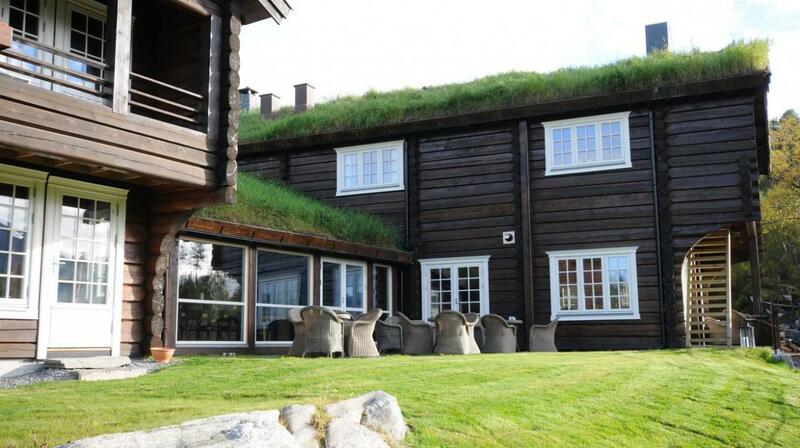 8 with a fjord view and 2 with forest views. 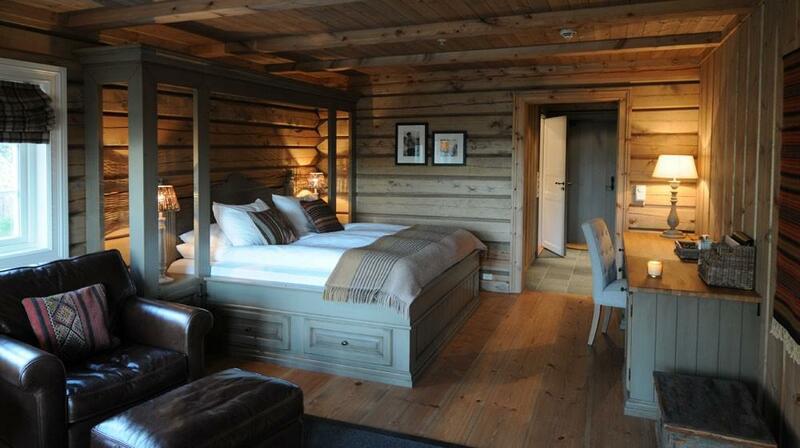 Each room has a luxury en-suite bathroom with heated flooring. 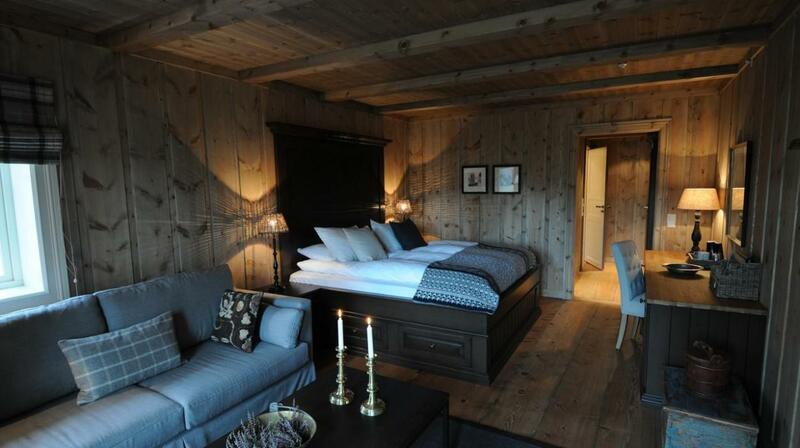 Boasting an area of 88 square metres, our suite will satisfy the requirements of the most discerning of guests. 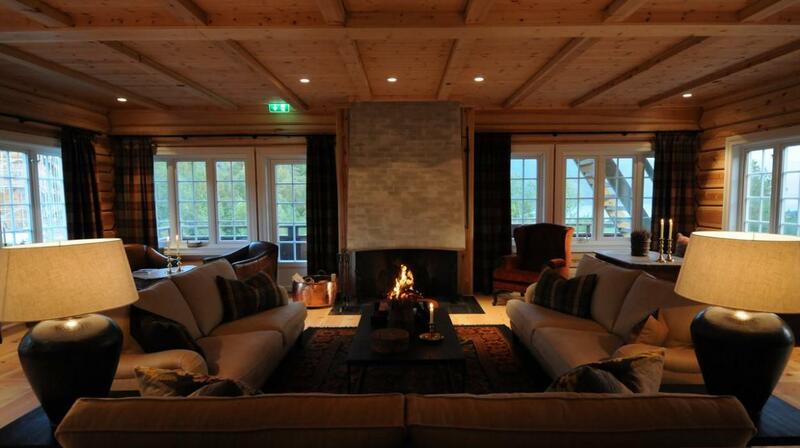 Quite simply, it is the very best of the very best we have to offer. 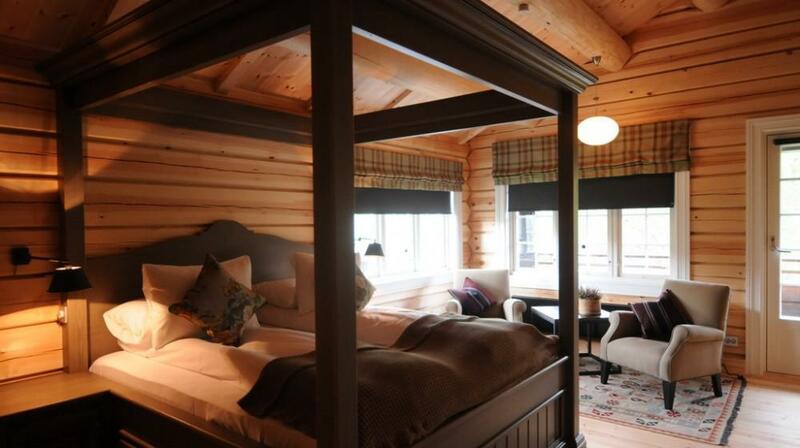 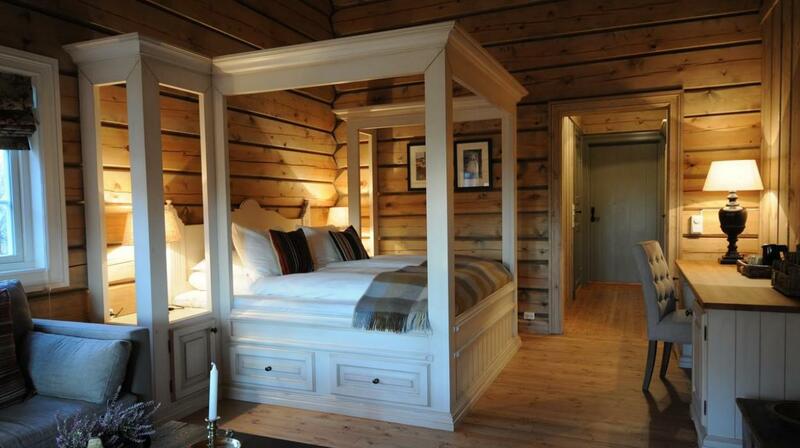 A King size four poster bed and a sitting area where you can hold meetings or have a candlelight dinner. 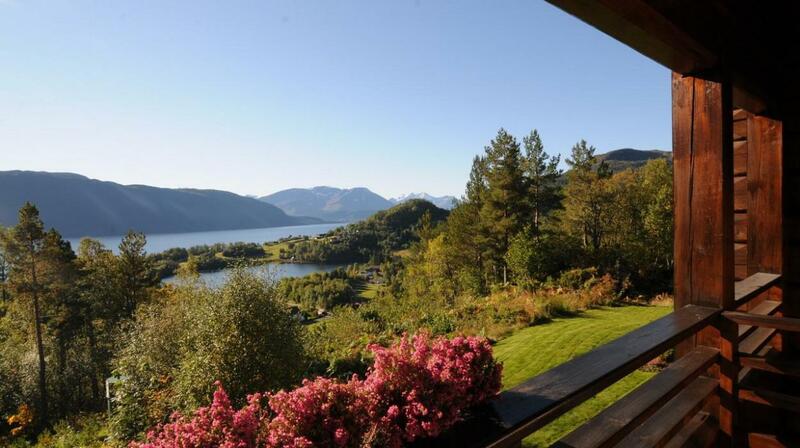 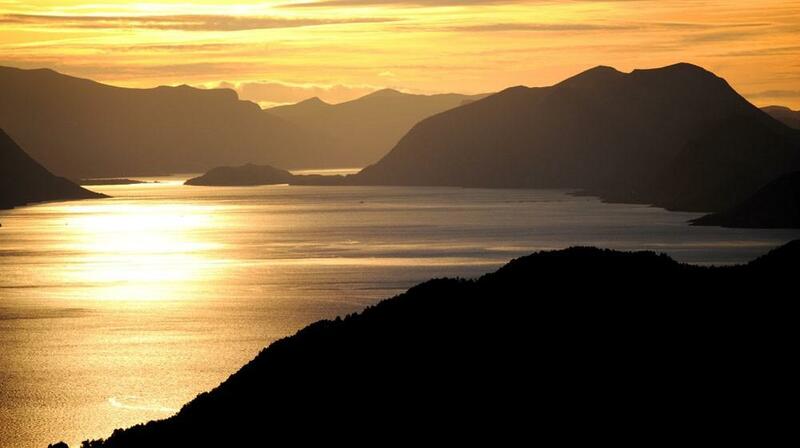 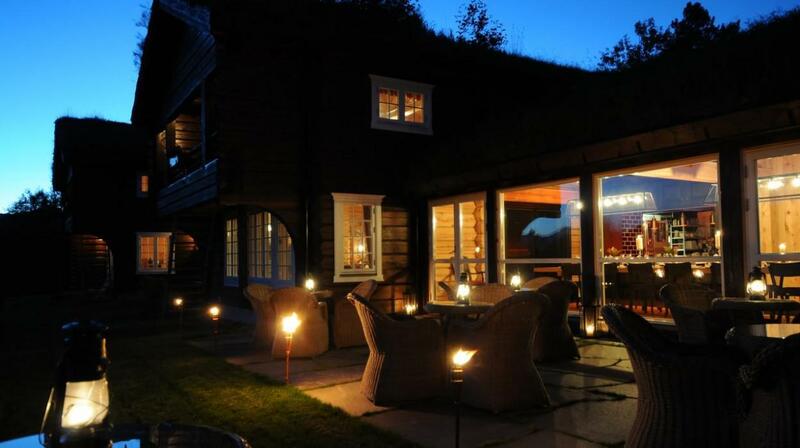 Relax in front of the fireplace and enjoy the sun setting over Storfjorden and the Sunnmøre Alps. 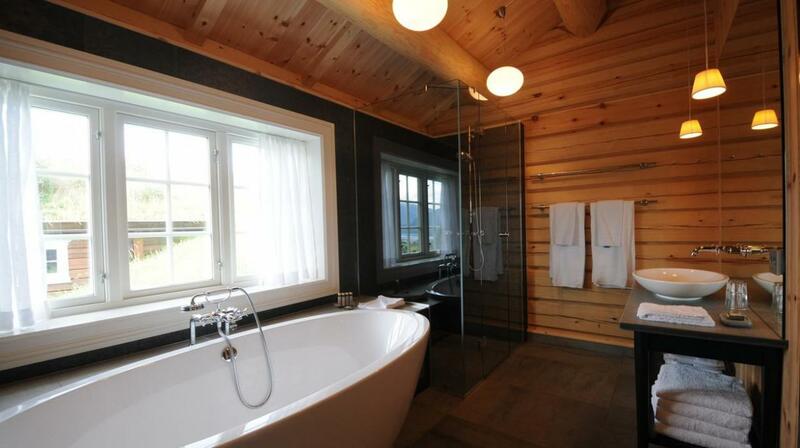 In addition it has a luxury en-suite bathroom with free standing bath and separate rain shower. 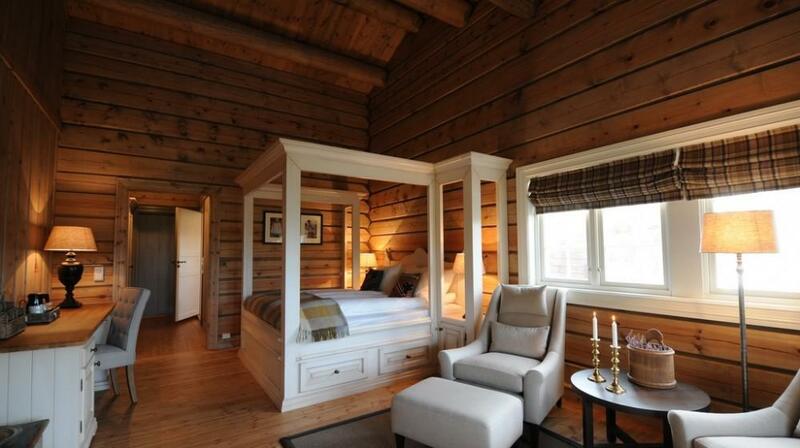 There is also a second bedroom with a double bed for the kids and a separate WC.